Regardless of what roofing needs you have, our qualified and skilled roofing contractors can be off assistance to you anywhere in Ecclesfield, Chapeltown and Highgreen. LRS Roofing have been established for over 15 years, and in that time our roofers have made hundreds of homeowners across the area happy. That's one of the reasons why our customers come back to us every time they need a helping hand with their roof, roofline, chimney and guttering. In Chapeltown, Ecclesfield or Highgreen? At LRS Roofing you’ll never have to worry about unwanted repair bills, because every job has our excellent roofing guarantee, meaning your roof is insured no matter what happens. You are also promised excellence and expertise on every project. One of our roofing experts will be happy to visit your home and give you a free quotation on any roof work you require. 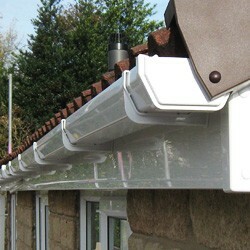 We supply top class standards of craftsmanship and extensive insurance cover. Regardless of what you need, you need a quality roofer. Our expertly trained roofers are local to Sheffield, so no matter where you are in Chapeltown, Ecclesfield or Highgreen, can be with you in a jiffy. Give us a call without delay 0114 304 9116.